Showering Love has been a shining light to so many people who are living in spiritual darkness. Kelly Powers Timbrell heard about Showering Love from her sister, Kathleen Nixon. Kathleen has been a big supporter of ours to shine the light of hope where it is needed. We offer wrap around services that open doors to more benefits! These benefits lead to jobs, financial security, housing and self sufficiency. Kelly knew this was a cause her son, Anthony, would have loved. And he was always willing to lend a hand to help someone. But Anthony didn’t get to know about us, since he passed away on October 13th, 2015. Kelly chose to raise money on Facebook to honor Anthony, because he was in a dark place when he passed. Anthony was a person who never looked down on anyone except when he was reaching down to help them up. Furthermore, he was the first one to reach out to give help, but was never able to grasp it for himself. Showering Love would have meant so much to him – being a shining light in the darkest of corners. We shine the light of knowledge, educating local law enforcement, colleges and the community through stories. In this way we are able to shift negative perspectives and stereotypes. 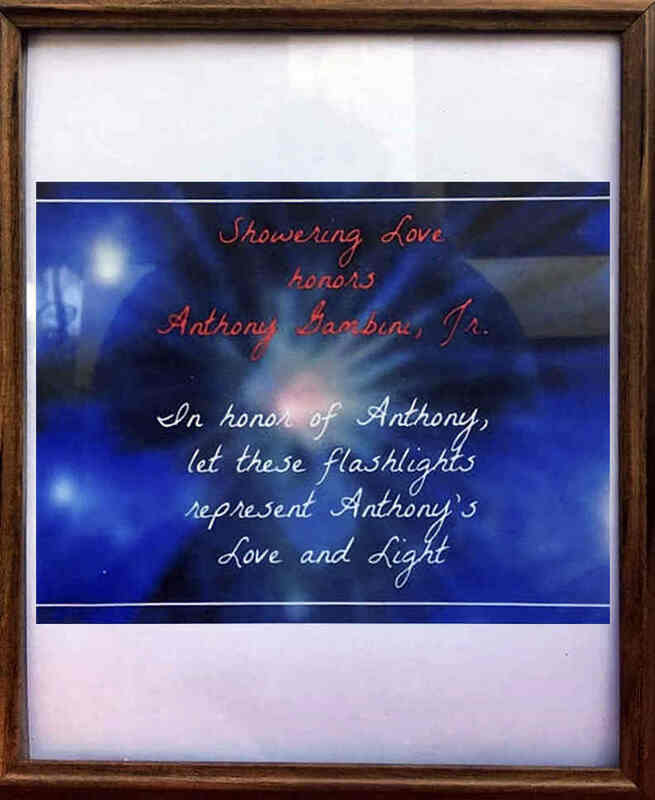 To honor Anthony we purchased small flashlights, that when lit, shine the image of a star. 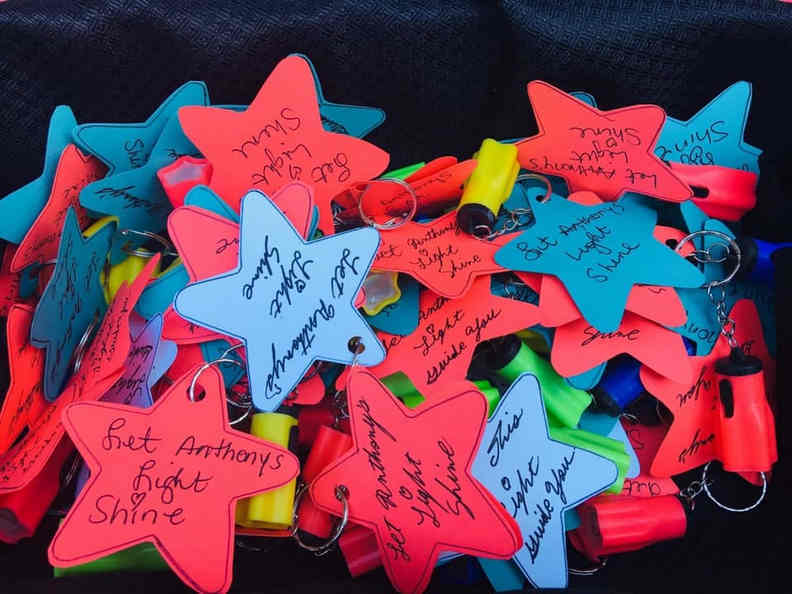 We added a note to each one that said, “Let Anthony’s light guide you”. 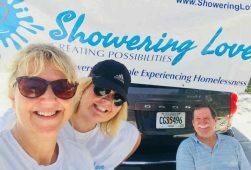 Showering Love’s mission is to guide those experiencing homelessness to self-sufficiency. 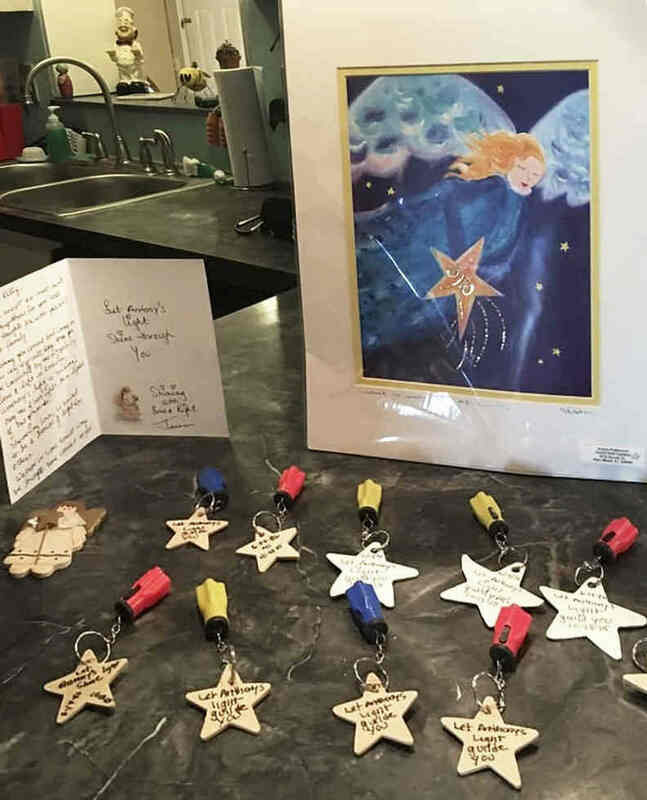 We sent some to Anthony’s family, along with a piece of artwork to symbolize his spirit. The night of October 13th, his family and friends all lit the flashlights. In this way, we continue to spread the shining light! Each of us has the ability to be a beacon of light! Together we can shine the light for others who are less fortunate. Shine on!! We want to thank Sonia Robinson for donating the beautiful Angel Picture above. Your donation will provide hope for someone less fortunate. 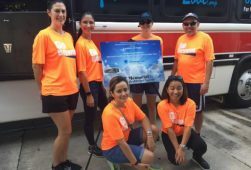 All that we do is made possible by your donations.